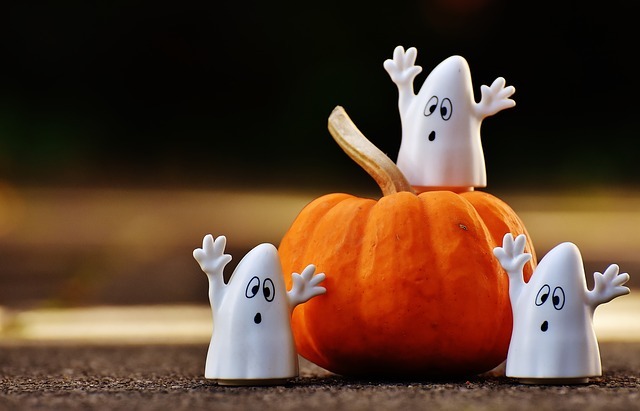 If you’re planning a fall wedding and would like to add some fun Halloween-themed touches, it’s very possible to do this while still having an elegant (and not spooky) wedding. There are many autumn themes and decorative ideas that will conjure this beloved holiday without having macabre skeletons and cobwebs hanging around. 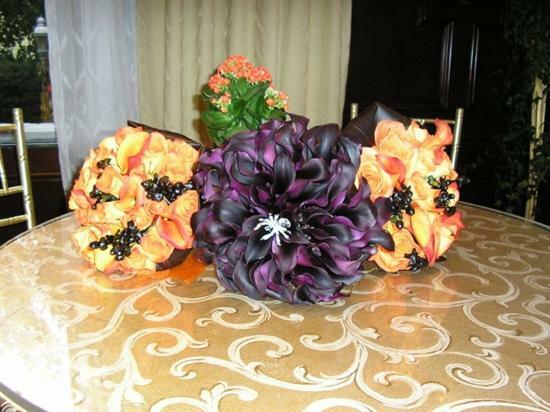 Here are 5 fun Halloween touches for your fall wedding. Traditional Halloween colors such as black and orange, along with a little green, will strongly call forth the season. You can use these colors in your invitations, decorations, bridesmaid dresses, accessories and table settings. Instead of the just the usual floral arrangements, consider adding symbols of the harvest such as pumpkins, gourds and decorative squashes. Wedding favors can also have a Halloween theme, such as little gifts inside a coffin-shaped box. This might include skull-shaped chocolates, red cranberry candles, black and red licorice or masquerade masks. There are many kinds of specialty cocktails that have a slightly spooky, Halloween vibe. Think of a Bloody Mary or an orange-based drink with an infusion of thick raspberry syrup. Black vodka and triple sec creates a bewitching drink, as does black vodka and cranberry juice. Drinks can be garnished with black olives or red cherries and with coarse orange or red-colored sugar around the rim of the glass. Serve them in Halloween-themed glasses. Everyone loves candy. If you’re having a Halloween wedding, there will be plenty of seasonal candy available with Halloween themes. 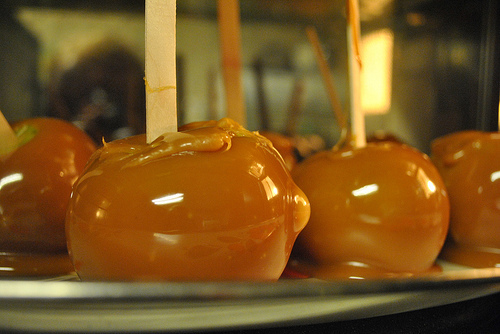 Don’t forget traditional favorites like caramel apples and candy corn. For a unique twist, have a photo booth at the reception that’s decorated with black cats, witches and skeletons. Provide guests with masks and Halloween-themed accessories. Everyone will have fun dressing up and having their pictures taken. 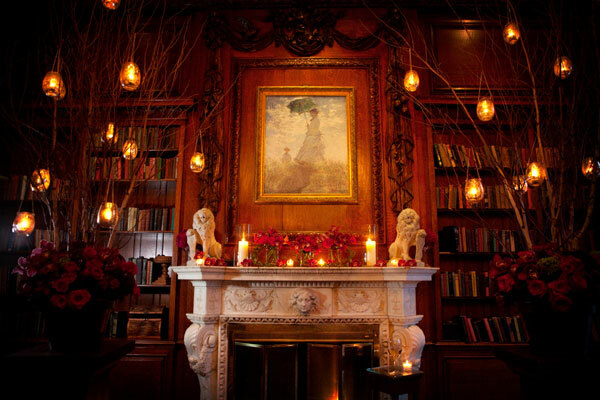 Hampshire House is hosting its annual Beacon Hill Halloween Bash for those looking for an intimate parlor gathering with delicious food this Halloween holiday. On Monday October 31st, 2016 the Hampshire House is holding the Halloween event of the year. This event will include musical performances by the talented Lisa Macalaster and the Walking Blue Band. This epic blues band takes its inspiration from the likes of Paul Butterfield and the band particularly prospers on unique Rock/Blues crossovers from legends such as BB King, Eric Clapton, and J. Geils. These creative stylings will set the scary scene for our intimate gathering in our historic Hampshire House parlor that will perfectly balance the elegance of the night and the whimsy of Halloween. The event also includes light hors d’oeuvres from our special seasonal menu such as lobster croquettes drizzled with savory béarnaise sauce and delectable duck confit and wild mushroom tartlets. For this event costumes are strongly encouraged of course so feel free to dress up as your favorite comic book character, skeleton, or wicked witch. This awesome event is only $15 per person excluding alcoholic beverages and the ticketing fee. 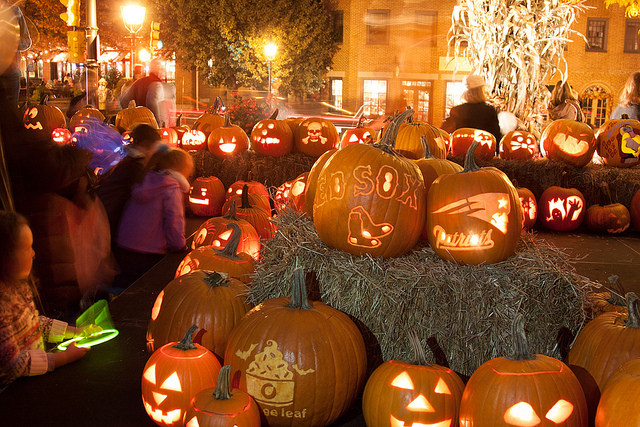 If you are interested in joining us for an adult alternative to trick-or-treating on October 31st from 6-9 pm for the Beacon Hill Halloween Bash call us at 617-227-9600 or purchase tickets here. Are you the maid of honor at your best friend or sister’s wedding? Do you have to give a speech? The idea of public speaking, even at such a happy event as a wedding, can fill some people with dread. However, if you plan ahead, you’ll absolutely ace it and people will be complimenting you long after. 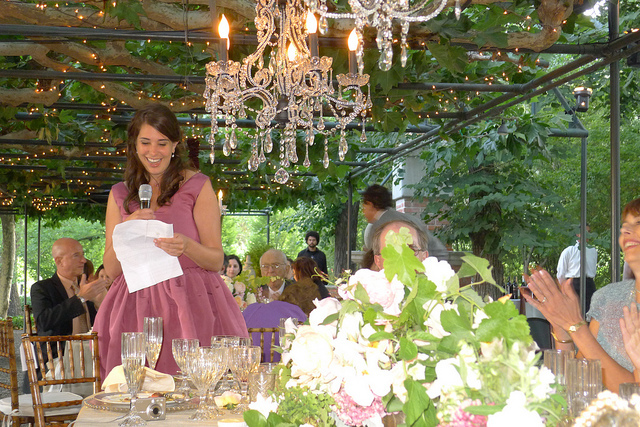 Here are some ideas on what to include in your maid of honor speech. Start by introducing yourself and thank the bride and groom (and their families, if appropriate) for including you in their special day. You might also want to begin your speech with a meaningful quote from a song, book or movie that has special meaning for the couple. Tell everyone how you first met the bride and share special moments you’ve had together, especially those that first came to mind when preparing your speech. Stories that will make people laugh are wonderful, but so are those that are touching and emotional. Although you likely know your friend or relative much better than her future husband, you should definitely not leave him out of your speech! Share the qualities you love about him and why you think they’re perfect together. Talk about how the couple first met and how their relationship evolved. Again, telling a story is a wonderful way to do this. It is very elegant to begin and end a maid of honor’s speech with a quote from the couple’s favorite movie, book or song that is appropriate and meaningful for them and the assembled guests. Doing this adds a lot of class and sophistication, in addition to giving your speech an even more personal touch. Keep it short and sweet. Know what you’re going to talk about, so you don’t start to ramble. Avoid using clichéd statements, like how “they’re made for each other.” Make sure your speech comes from the heart and that it reflects your personality and the personality of the couple. Be yourself, but don’t talk about yourself too much! Keep the focus on the happy bride and groom. 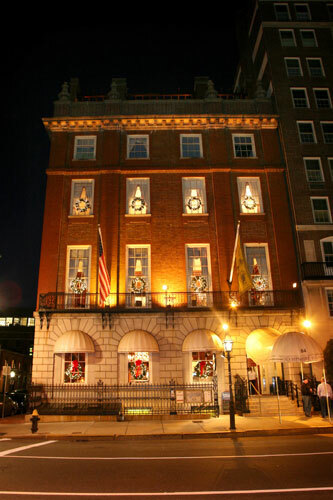 There is no better way to celebrate the annual fright night, Halloween, then dining in the dark at the Hampshire House. This epic experience will take you and your friends on an extraordinary culinary journey of the senses. Once you are blindfolded and can no longer eat with your eyes, your other senses will take over and you’ll begin to enjoy the mouth-watering aromas and taste the silky textures of your sumptuous meal. Your night will include a four-course, fine dining menu tasting combined with seasonal music and a narrated story that will tie the whole experience together leaving you wanting more. If you enjoy trying new foods with your friends, then dining in the dark is perfect for you. Before you dress up in costume and eat a ton of sweets, join us at the Hampshire House for a unique Dining in the Dark experience. For more information on the event click here, or to purchase tickets click here. Note that each ticket is $95 for Sunday October 30th from 6-9pm. Tickets include tax and gratuity, but do not include alcoholic beverages. Planning a successful corporate event requires a great deal of forethought and careful planning. There are many particulars that need to come together in a harmonious way to ensure that all your business associates and guests feel welcomed and well cared for, and that your planned events and activities come off without a hitch. At Hampshire House, Boston’s premiere corporate event destination, our exceptional staff will assist you at every step to create a memorable and triumphant annual company meeting, client dinner, training seminar or business reception. Here are our 7 tips to planning your corporate event at Hampshire House. Are you planning a business reception with industry professionals to inform and attract new clients? Will this be a special banquet to reward and retain loyal customers, or is it a company celebration to thank employees for their service or acknowledge that you’ve reached a particular milestone? The nature of the event will determine your guest list and the types of activities you’ll be planning. After you’ve determined your goals and objectives, you’ll have a better idea of the people you wish to invite. As you list the names, think about any special needs that must be addressed, such as dietary restrictions. You won’t always know these, but if some of the guests are your co-workers and employees, you might know, for example, if there are vegetarians or others with restricted diets. Make a note of these. Make a list of the types of activities you plan to include in your event. If it is a cocktail reception or banquet dinner, will anyone be giving a speech beforehand? Are there employee awards to be given out or will you be making a special presentation? If so, you will need audio/visual equipment to be set up in the room. If you will be demonstrating products or giving a slideshow presentation, list the equipment required for that as well. List other vendors that may be required, such as florists, photographers and musicians. That would be Boston’s Hampshire House, of course! Conveniently located in historic Beacon Hill in the heart of Boston, Hampshire House boasts breathtaking views of the Boston Public Garden. Our classic New England mansion features state-of-the-art amenities such as complete audio visual services, wireless high-speed internet and valet parking in elegant, luxurious and comfortable surroundings. Our corporate events menu is second to none, created by Hampshire House Executive Chef, Markus Ripperger. We are a popular destination for corporate events with up to 500 attendees. To discuss and plan your corporate event, you can call us at 617.227.9600 or send us an email. To expedite the process, we have a convenient corporate inquiry form, where we ask about the details of your event such as the preferred date, type of event, number of guests, meals, room set-up and required audio visual equipment. This will help our event planner and the rest of our team to create the perfect event to fit your requirements. When you’ve planned your event and the activities, send out your invitations, keeping track of all those who R.S.V.P for a final guest count. Working with our corporate event planner, set up and confirm the necessary outside vendors for your event, such as event designers, florists, photographers and entertainers. See our preferred vendors for suggestions. Create a schedule of events with timing, allowing for any opening ceremony or speeches, leisurely meals, meet-and-greet receptions and breaks. Build-in additional timing to allow for unexpected delays. This will ensure that your event runs smoothly. Organize your co-workers who will have certain responsibilities at the event, such as giving speeches, presenting a slideshow or hosting an award ceremony. Make sure that everyone knows what they’re supposed to be doing and when. This will greatly reduce stress, so that everyone can have an enjoyable time. Holidays are special times when friends and families come together to celebrate the season and the warmth of each other’s company. For businesses, it’s a chance to show their appreciation to clients, customers and employees. 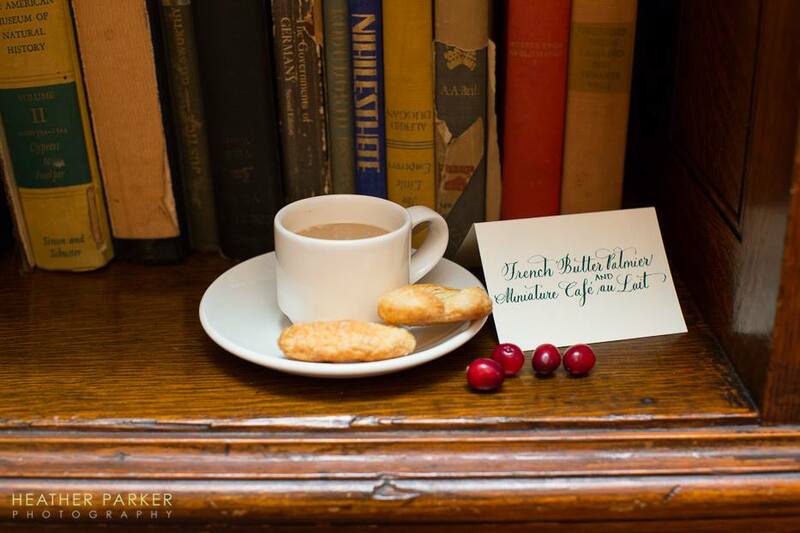 If you’re planning a special holiday event, Hampshire House is a popular destination. What better location to honor tradition than at our historic, turn-of-the-century mansion in Beacon Hill? 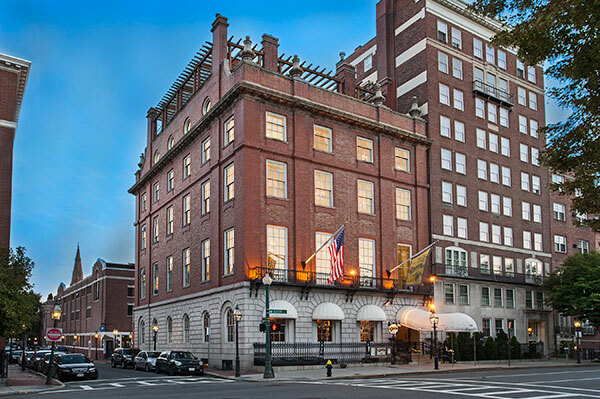 Built in 1910, our five-story Georgian revival townhouse is an elegant, luxurious and extremely comfortable setting with gorgeous views of the Boston Public Garden. It is the perfect venue for a warm and inviting holiday party. In addition to being beautifully decorated for the season with the cozy warmth of roaring fires, you and your guests can enjoy exquisite dining, with seasonal specialties created by Hampshire House Executive Chef, Markus Ripperger. Our service and attention to detail is unsurpassed, and our special events coordinator will help you to plan the perfect holiday celebration that your guests will be raving about for a long time. For more information, please call us at 617.227.9600 or send us an email. You can also request information or inquire about the availability of a particular date by filling out our information request form. Planning a wedding can at times be overwhelming. That’s why at Hampshire House, we provide a list of our preferred vendors for everything from wedding invitations and floral arrangements to photographers, videographers and entertainers. What these vendors have in common is their professional excellence and the extremely high quality of their services. Following are some of our entertainment recommendations to make your special day even more wonderful. Anders Vercelli of Anders Jazz is an exceptional jazz pianist who performs solo or with his own jazz trio. 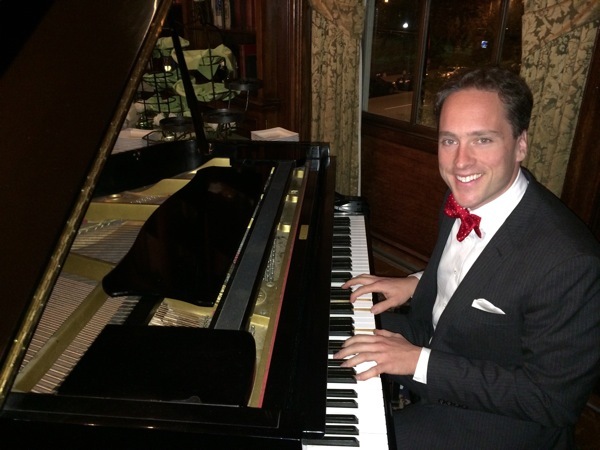 Do you have specific jazz standards in mind that you would like performed at your wedding? Anders is a wonderful choice. You can listen to samples of his playing on his website. Bo and Bill Winiker Bands – Winiker Music offers a wide range of musicians for your wedding, whether you’d like a solo pianist or a big party band. Their musical styles range from Sinatra, Motown and the Beatles to R&B classic, hip-hop and much more. Challenge their knowledge — they have a repertoire of more than 15,000 songs! 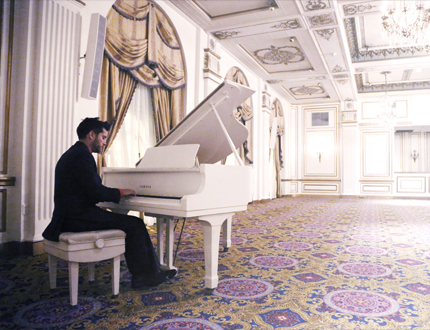 View samples of their wedding performances and read testimonials. For bands, DJs and ceremony or cocktail hour musicians in addition to photo booths, lighting and other services, visit Entertainment Specialists. They offer various bands with different styles of music. Groove Events is a full-service entertainment production company, with DJs, live bands, lighting, photograph and video services. Musical styles include jazz trios and flamenco guitar. If a classical ensemble is more your style, consider Riverview Chamber Players. They’ve been providing exquisite music for weddings for more than 20 years. They can perform before, during and after the ceremony as well as during the reception. For a complete list of our suggested entertainers and for contact information, please see the Hampshire House List of Preferred Vendors. Hampshire House is the premiere destination for weddings of distinction.